The U.S. Mission in Dar es Salaam is seeking eligible and qualified applicants for the position below. 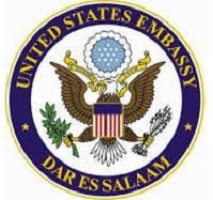 The U.S. Mission in Dar es Salaam is seeking eligible and qualified applicants for the position of Telephone Operator. Basic Function: The position is the Telephone Operator in the Embassy Chancery and Annex buildings. The incumbent operates a Nortel Meridian telephone system with a computerized auto attendant. Supervised by Mailroom Supervisor. Education Requirements: Completion of Secondary School is required. Applicants MUST follow instructions in the notice on the website: Failure to do so will result in an incomplete application. Only Shortlisted candidates will be contacted via email.